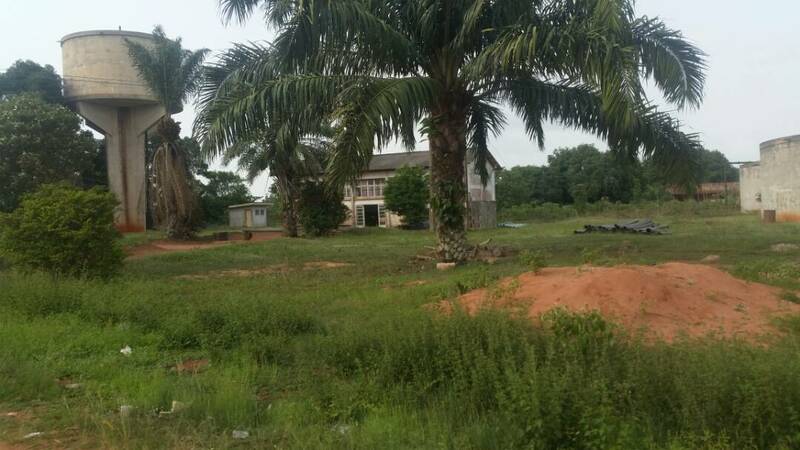 ESANLAND: SPECIAL REPORT – Esanland Local Government Affair. SPECIAL REPORT – Esanland Local Government Affair. "We have untapped unlimited potential in Agribusiness, especially value chain. Esan folks are not lazy, we have the skills and the resources outside of Esanland and we know where they are but our inability to organize ourselves is the problem." Welcome to Esanland Network, otherwise known as esanland.org formally ewohimi.com. Please introduce yourself to Esan folks at home and around the globe. My name is Victor Emuakhagbon, by the grace of God, the Council Chairman of Esan South East Local Government. I’m happily married to an Esan young lady – the love of my life. I’ve three kids and my family resides in the United States of America currently. I’m from Ewohimi and I did my primary school in Ewohimi before heading to USA for further studies. I’ve been home off and on, back and forth since 2007. I’m now permanently resident at home as the Council Chairman but my family are still based in US. I did my 1st degree in Architecture/Urban Planning, Master Degree in Engineering Technology, and Master Degree in Strategy Planning/Urban Management. I was doing my PhD in Political Engineering. I’ve done most of the courses before I was appointed as special adviser to then Governor, Mr. Osunbor, who was a Senator then. Other than that I’ve organize in Dallas Texas what we called Organization of the Nigeria National and worked with fortune 500 companies as manufacturing Engineer/Operational Engineer before I left to become self employed, running my own business. I’ve two businesses in United States. One I sold and my dear wife is managing one while I am away helping organize my homeland. I love our people and I’m doing my best to see how I can be part of the breed of people who are rebuilding Esanland, Edo State and Nigeria. 6 months ago you were elected as the Chairman of Esan South East LGA. Why politics? Good question, Why Politics? I’ve always be a public person and believe that people need to be helped, if not me who will do it, if you and I do not get involve who else will foster the new narrative of a better organize structure Esanland, Edo State and Nigeria that is developed, where every citizen, whether young or old can access opportunity for self empowerment. I believe, as an individual, there is really so much you can do with your money but you need to be part of government to make things happen. It is through government apparatus you’ll be able to bring development to your people. I take my people development seriously, that’s I decided to leave the work I was doing in Dallas Texas to move home and try to be part of development in Esanland Communities through better governance. People say politic is a dirty game but I don’t believe that. I think the people that play politics are the ones that are dirty and if we are able to get dirty people out who play politics we will have the best for our people. USA is an organized society, we can’t just sit at the comfort of our homes but we are the one who are going to organize our place and people not foreigners but us, the indigenes who should help rebuild our father’s land. That is why I am happy that I came and we are doing the best that we can to change the narrative one block at a time. How do we address the issue of shortage of teachers in Esanland schools? Education was neglected by past government in Nigeria. When I was attending primary school back in the days, the system was better. Shortage of teacher is one part of the problem. What we have done and Edo State is doing is to organize from grass root level, adopting Universal Basic Education (UBE) Over 7000 teachers in Edo State have been trained, almost all teachers have access to Tablet now, where teachers sign in and out, their work plan is been done centrally from Edo State Capital, Benin City. The young lady who is the special adviser to Governor Obaseki on education is also from the United States. The issue we have in the past are been corrected right now. Edo BEST! That’s what we call the new school system in Edo State now. In the next two years, the reforms in the education sector will totally revived Education in Edo State. What Governor Obaseki is saying is that if we do not start from primary school we can’t do very well in Secondary school. We’re going back to the basics from primary one to primary six, providing the right teaching aid to teachers and foundation for the pupils to learn. So, you may not see the effect right away because it takes time to plan and execute but as years goes by we would continue to see improvement in the education sector from Primary to secondary level. Yes, the centralized system is the best because we don’t have resources at the local level to take care of all the training. Whereas everything is been organized from the Central level where we put resources together manage the educational sector in Edo State. That is what the State government is doing and I think is the best. Is there a plan by the 5 LGA in Esanland to make Esan Language compulsory in Esan Schools, to preserve it from extinction? I don’t want to tell you there is a plan for it. Honestly speaking I’ve not thought of that at all. I think it will be a good thing to do. Now that you brought it up . . . but we have talk of indigenous language, Bini language is been revived because the language is going into extinct. Esanland is a good land but right now we don’t have too much people studying linguistic in Esanland. But it will be a good thing. So, I will ask the supervisor of Education to look into it. Esanland Brain Drain: Esan people terms to move out of Esanland and never return with skills and resources to give back in terms of human capital development, civil engagement, philanthropically activities. How do we reveres brain drain in Esanland, bring Esan resources, skills that's outside of Esanland back to Esanland/Edo State? That is a very good question although it’s not peculiar to Esanland but to Nigeria as a country. We have to start from the basic. I think what we should be doing is to make sure that people that are educated from Esanland, whether they are outside or inside should come together and find a way to bring development to our people. If you are educated from Esanland and you have no job, you may have to move elsewhere to find a job. If opportunities are available in Esanland there is no way Esan person will go somewhere if he or she knows they can get job and get paid well here at home. The cost of living will be cheaper, he probably will be living in his family house at home, it’s because there is no amenities at home. That is why as the Local Government Chairman, I’m begging people like you and other Esan who are out there with resources and skills to come home and set up cottage industry, develop Esanland/Edo State and create opportunity for our youth. When I became the LGA Chairman, I took a tour of our LGA and I saw all the structures that were put here during colonial era, Ubiaja used to be head quarter of colonial centre, all the way down to Auchi. But in Ubiaja you don’t see development. The houses are dilapidated structures due to years of neglect by past government. So we need to revive the economy of this Local Government and Esanland as a whole so there can be opportunity for our people. The lack of opportunity is what make people migrate through Libya, a very risky and dangerous route to Europe because they don’t have anything to do. This is why government is seeking for ways to create opportunity by engaging our people to stop the brain drain, as you call it. That is why people like you and I and other Esan folks need to come home and see how we can contribute positively to development of our home land. If you have an idea, perhaps you see in your community in America or Europe that you think we can replicate here in Ubiaja, Ewohimi in our Local Government or in entire Edo Central, I’m on the ground and I am open to collaborate with anyone. So we need to start working cooperatively because all of us need to come together and have common goal and plans for development of Esanland and say, any party that wants to come onboard, we will tell them, this is what we need them to do to develop Esanland, build infrastructures and create job opportunity for our people. It’s unfortunate our forefathers made mistakes, they did not groom and mentor leaders to take over from them. We have Chief Enahoro from Esanland, we only remember that he moves the motion for Nigeria independence but what did he do for Esanland or Uromi where he came from – nothing. Our Elder Statesman has just died now Anthony Anenih, I don’t know people that he has groom and mentor that will take over from him, though he was a politician well known in Africa, so those are the things we should be talking about. Esanland have intellectuals but our ability to come together or our inability to come together is our biggest problem. We need to come together and forge common goals/plans for Esanland development. Esan professionals need to redefine and transform Esanland in this 21st century. 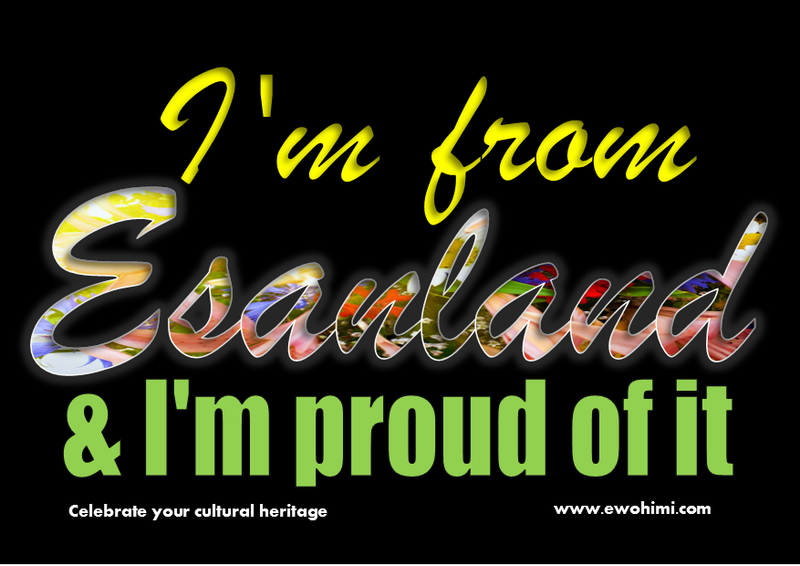 So I appeal to Esan professional living within and outside of Esanland to please remember our fatherland and let us come together and redefine and build Esanland of our collective dream TODAY! I am trying to organize Esan South East as a road map, when I came onboard; I told our people we should work together so at the end of my tenure, Esan South East should be number one of the best Local Government, with reform system so others can look to us for inspiration. Like I’ve mentioned earlier, we have to reform the system to stop the Brain Drain. That means we have to sacrifice to have meaningful development in Esanland, Edo State and Nigeria. You cannot stay at the comfort zone and say, there’s nothing going on here. If we do not do it who is going to do it for us? If Esan folks do not bring development to Esanland, who is going to do it for us? That is the sacrifice I’ve placed upon myself to be part of change, even my family will tell you I’ve abandoned them in US but that is life and we will get to the promise land some day and I believe Esanland be better organized in our time by the special grace of God. Progressives thoughts say, we need Local Government autonomy, did you agree to that school of thought, if yes - What’s your idea of LGA Autonomy? I totally agreed to Local Government Autonomy because that is constitutional. It is what is required for effective governance and service delivery. You know the United States form of government. There is no way we should allow the Federal Government to interfere with the State and the state interferes with Local Government. All should be working together developmentally but everybody should have their own power. So the Local Government Autonomy is long overdue in Nigeria. However, because of military rule era, many of our people are just beginning to learn of democracy which actually started in 1999, now everything is suppose to be Federal Government, that’s not true federalism. A true Federalism recognized the resources of the LG, whereby the resources of the LG will be taxed, and then the state ask us to pay tax in some certain things and the State will also harmonize and pay tax to the federal government. Federal Government will take everything, at the end of the day send fund to state and the state will share with Local Government. Pilgrims Baptist Grammar School (PBGS) any plan to rehabilitate the institutions by Edo Government or any alternative plans to establish perhaps a technical college/Trade School there? I have a different opinion it may not be popular among my brothers and sisters – alumni’s of Pilgrim Baptist Grammar School. However, it wasn’t a government school. It was a Baptist college and I believe all mission schools should be given back to mission who will manage it better than government. Having said that, I know the state took over the school, right now the school is no longer in existence. I blame the Alumni of that school. That school, from what I’ve found out have five Senior Advocate of Nigeria (SAN), who are refined lawyers, Grade A Lawyers, they should be ashamed of themselves, that the school they went to has close down. Till today, the school I went to in Texas I still pay money to them as Alumni. I don’t know what they do with the fund but I know they do something with it to educate people. Give back to where you come from. People are waiting for government to do everything; I’m not protecting government at all. During Oshiomole regime, he said he was going to take over the school unfortunately it didn’t materialize. We have decided or we are thinking we need to do something different. We have so many secondary schools in Edo State that are not functional well. Why should we build more instead we should fixed and provide existing school with resources to function properly. I think PBGS need to be upgraded to something else. At a point they said Oshiomole wanted to turn it to one of the three Model School in Edo State unfortunately that was not done. But we have suggested to Governor Obaseki either to establish the school of Agriculture to be annexed to Ambrose Alli University or we establish School of Nursing. We have about three General Hospital in the Local Government. One is in Ewohimi, Ubiaja, we’re starting one in Ohordua. They don’t have enough nurses but if we have nursing school here people can be trained and we have Hospital and Primary Health Care Centres where they can work. That will be one area to look at. We need to do something else, I’m saying we should establish nursing School to train and provide nurses for our Hospitals and Primary Health Care Centres in Esanland. We don’t need Grammar schools any more. We need technical/trade schools, in the area of Nursing, Engineering, Agriculture and many other areas, not everybody can go to university. That’s why in the United States they have Junior Colleges, where you train people. That’s what this government is looking to do, not necessary bringing back the name Pilgrim Baptist Grammar School (PBGS). That is the next level we all should be heading to. So any plan to have website for the LGA? Yea, at the end of our first year we plan to have a website up and running for people to view and bring them closer to Local Government. We’re also looking to have in our website, basic Local Government information for our people who live outside of Esanland. If you’re from Esan South East and you need Local Government Authority, instead of travelling all the way from Lagos or Abuja you can apply and make payment online and obtain your Local Government Authority online. Our IT department is working on that. Right now we are building the infrastructures to accommodate our website. During our one year anniversary the website should up and live. How did we tackle division among Esan folks? We need a cohesive approach - a united Esan folks to address infrastructure deficit in Esanland. Well, enlightenment is the key, education and living by example. All that you said, even in family there is exhibition of conflict, even husband and wife do quarrel. I think our primary problem is we don’t have the patience to sit down and say, what we can do together. The culture we grow up don’t believe in holistic approach, that is where every Nigerians need to migrate to that level, if you are an American, you must think America First before you start thinking about where you come from. But in Nigeria we think of our own self alone. Even our self alone, we are not able to unite yet together because of the indigene culture we have with us. Even in the United States it’s difficult to organize Nigerians to work together. 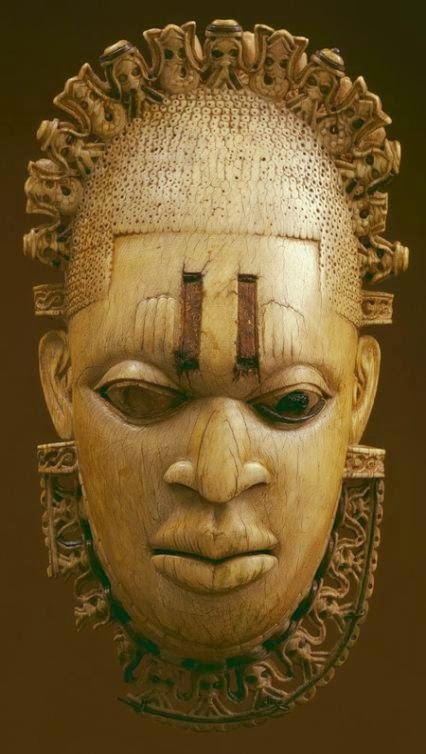 The Benin people want to do their own. The Hausa, Igbo people wants to do their own, there in US we have Ewohimi this, Ewohimi that but until we have this culture, that we’re Nigerians First. Even right now Esan Leaders that are leading us have not been able to say, this is what we need to be doing NOW! We have traditional rulers, in our Local Government fourteen of them, did you know how difficult it is for me to get them together to speak with one voice. For example, we have issue of herdsmen’s. Instead of fighting the Hausa people, instead of the cattle roaming up and down, the community can come together and set up a place, plant grasses/hay and sell to the Fulani so they can keep their cattle in one place to feed their cattle. They didn’t support us instead they resisted the idea. That is one area we need to begin to think of what to do. I am inviting investors to come to us and explore this opportunity. As the Local Government we will give land for investors to establish business, create job. As Esan people we need to begin to come together and have unified purpose for the common good of us all. We must redefine Esanland and build infrastructure in this 21st century. 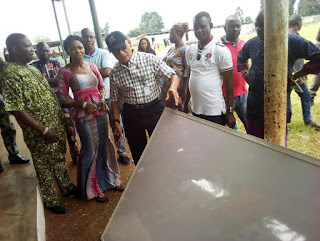 Pipe Borne Water: Ewohimi Iyagun Water Supply Scheme, any plans to seek for funding from the Federal Government to rehabilitate the water board? Water scarcity problem has been too politicized. Water is a major problem in entire Esanland because of the table level of water in Esan. Where it takes 30oft to get water in Benin City, it will take over a thousand to get water here that is the problem. I don’t believe in borehole because it will work a little and it gets dry up that’s why we really need to work on the water project. Now, when I was growing up in Ewohimi, I was two or three years they came to establish the water board. That water board was one of the reasons I came in 2007 during the administration of Osunbor, I told him if I’m going to be your special adviser you must do that water for Ewohimi and he said, yes. He worked on it but they left the project and went to Ugboha and reticulated and took it to another Local Government. But no problem because the person that was in charge then was from Uromi, even serving water to Ugboha where the water came from, that became a problem. So the state government said that cannot happen. So, the state decides it will reticulate the water to Ugboha, Ubiaja before it goes to Uromi. So, that of Ewohimi can also supply water to Ekpon, Ewossa, Ebelle, Ewatto, Ogua, Igueben, Ohordua and Udo. They are also working on that, and I know the contract will be awarded soon. 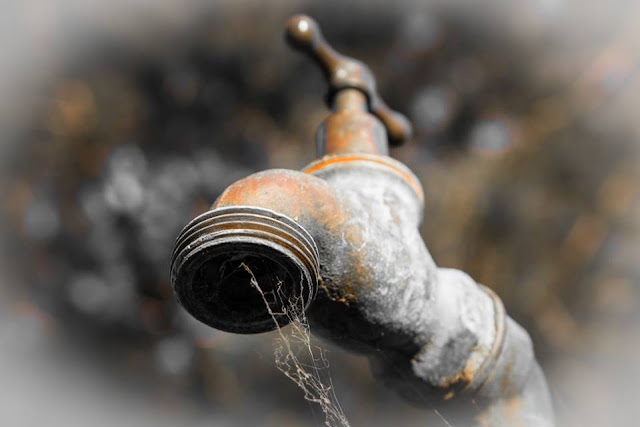 Water issues are a major problem in entire Esanland. Hopefully we shall see changes in that regard soon. Electricity. Ewohimi, Ewatto and Orhordua electricity has been cut for the past 3 years or so any hope of electricity soon? Very good, like I said I’m the Local Government Chairman, Ubiaja is the only place that has light I guess it’s because it’s the Headquarter. We are working assiduously in other area of the Local Government to get electricity. The electricity is now privatized. For example, Ewohimi bill they gave to us was N254 million and they said we owe them. We’ve been fighting that, I spare headed that with house member Edionwele and formed a committee that’s working on it. We have completed the installation of a transformer. We’re using Ewohimi as model for Esan South East, so other can use ESE Local Government model to other Local Government. What we have done in Ewohimi is that, each transformer has a pre-paid meter attached to the transformer. If we have 100 houses attached to that transformer, there’ll be community form that will be responsible in collecting money from the 100 houses to buy electricity to feed their houses. It is pre-paid system. Each community will collect money within them buy electricity and feed it to their transformer and use. Just like pre-paid cellular phone. So, before December the electricity should be back on. I appealed to Esan folks living outside of Esanland please come home and help us rebuild our people. Bring all the experiences, skills you have over there and rebuild Esanland, Edo State and Nigeria. You have one of your own on ground, I am open to collaborate with anyone with idea, use Esan South East as a model for other people because I know how the system work over there and I know how it work here and we cannot stay out there thinking things will just change, no. We must come here and be part of change. I have one person here that came from Lagos for the past six months, an engineer who’s assisting us in our work. You don’t have to live here but we can collaborate and drive development in our communities. Many of our brothers and sisters, who live in the Diaspora visit every five years criticize and say Nigeria is a bad place but what sacrifice are we willing to make it better? Nigeria is a good place. I’ve lived in Dallas Texas for 47 years. I left Nigeria when I was 19 and half year to US now I am back since 2007 to be part of change because I want good for my people. So, those living outside of Esanland, in Diaspora come, whatever you can do and be a part of history and let develop build Esanland, Edo State and Nigeria of our collective dream. Some of our people over there, all they do is to have meeting and fight – all that. That’s not what we are looking for. Let us come home and invest anywhere in Esanland. We have untapped unlimited potential in Agribusiness, especially value chain. Esan folks are not lazy, we have the skills and the resources outside of Esanland and we know where they are but our inability to organize ourselves is the problem. I believe we can overcome that as we make the effort collective in this 21st century to redefine and build one collective Esanland that works for the better of us all.